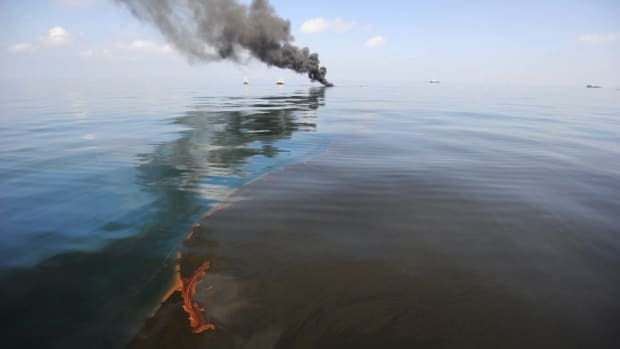 On Monday, the United States Justice Department announced a settlement with BP over the 2010 Deepwater Horizon oil spill in the Gulf of Mexico. The oil behemoth must pay more than $20 billion to government agencies on both the state and federal levels. Although the Justice Department first announced the terms of the deal in July—when BP agreed to settle state and federal claims for $18.7 billion—Monday&apos;s announcement includes additional money that BP has already paid toward fines and damages. 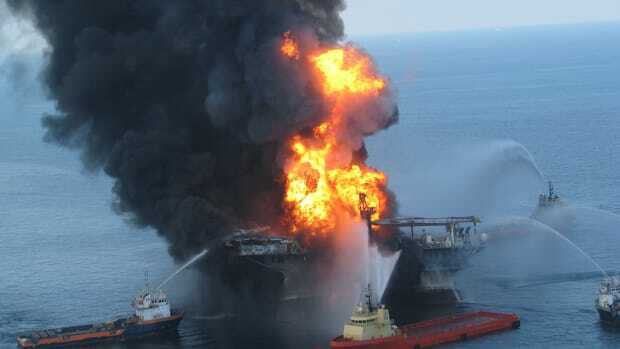 The Deepwater Horizon oil spill is the largest marine oil spill in U.S. history. 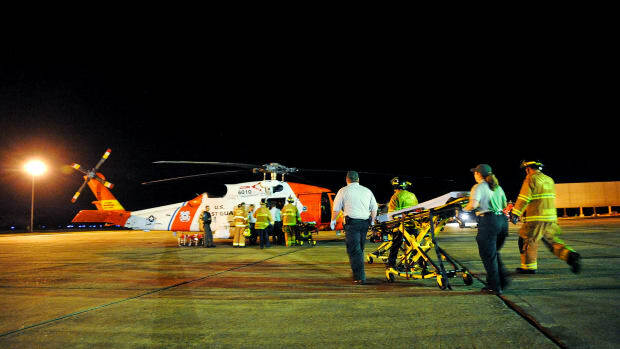 More than five million barrels of oil were released into the Gulf of Mexico, and 11 workers were killed as a result of the drilling rig explosion. [W]e have secured a historic resolution of our pending claims against BP totaling more than $20 billion—making it the largest settlement with a single entity in American history. The resolution includes civil claims under the Clean Water Act, for which BP has agreed to pay a $5.5 billion penalty—the largest civil penalty in the history of environmental law. $5.5 billion for civil violations of the Clean Water Act. $7.1 billion in natural resource damages—including $1 billion the company already allocated toward earlier restoration efforts. 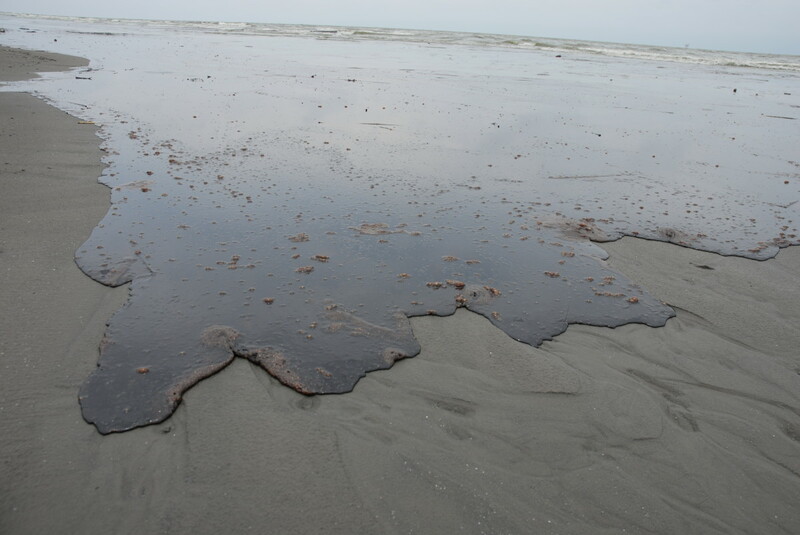 Up to $700 million for future environmental impacts still yet to be studied or discovered stemming from the oil spill. Up $250 million for responding to the oil spill and lost royalties. $350 million for natural resource damage assessment costs. Up to $5.9 billion for state and local economic claims. The surface oil slick alone from the spill covered 43,300 square miles—an area larger than the state of Virginia. The amount of shoreline exposed to oil (roughly 1,300 miles) exceeds the distance of road from New Orleans to New York City. Between two and five trillion developing larval fish were killed in surface waters because of the oil spill. Roughly 86 million to 26 billion fish larvae were killed in deeper waters. 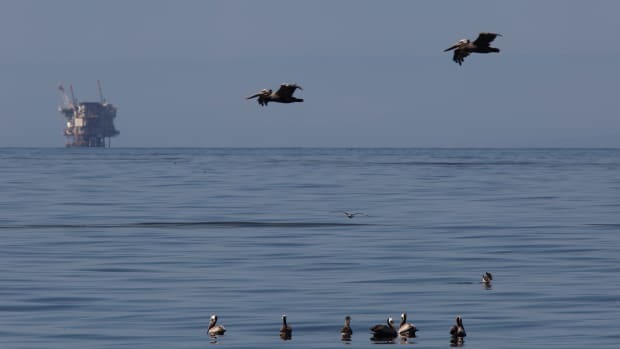 Between 51,600 and 84,500 birds died as a result of the spill, including brown pelicans, laughing gulls, terns, skimmers, and northern gannets. Roughly 35,000 hatchling sea turtles—loggerheads, Kemp&apos;s ridleys, and green turtles—were injured. Up to 166,000 juvenile sea turtles were killed and up to 7,600 adults were killed. The number of oysters killed during the oil spill would have produced up to 508 million pounds of fresh oyster meat. In July, Jared Keller described how certain provisions in the U.S. tax code could potentially allow BP to write off any fines on its corporate taxes unless specified in the language defining the fine. But by referring to the Clean Water Act violations as a penalty—which Lynch did on Monday—that particular settlement cannot be written off as a business expense by BP. The public has two months to comment on the updated settlement before it goes to a federal judge for final approval. Five years later, we&apos;re one step closer to restoring the Gulf.